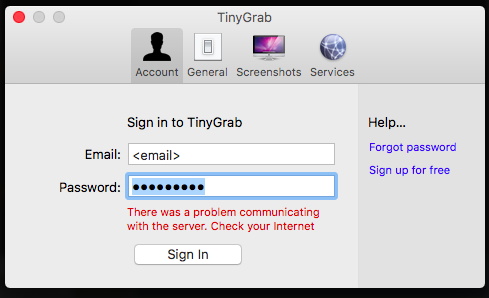 This will make the TinyGrab app functional again - you will NOT be able to upload to TinyGrab, only the external sources such as FTP, Amazon S3 or Rackspace. If you're want more info, please read on! 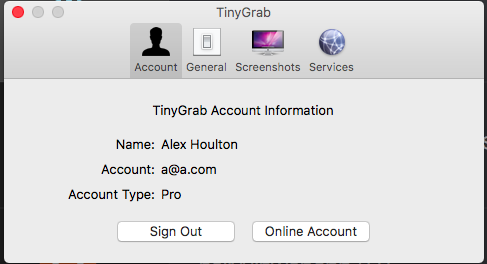 So, TinyGrab is an app that i've used for a year or two now - it basically takes a screenshot you take on your Mac/PC and uploads it to a destination you select, and copies the resulting web URL to your clipboard in the process. Pretty nice right? Super handy for sending screenshots to people quickly at work! So, being the nerd I am, I wanted to fix it. I count this as a success! So, you want your TinyGrab to work too? Add 212.159.61.116 tinygrab.com to the bottom of the file. Ctrl+X, then type y and then press enter. Please note, I have not tested this on Windows. Type C:\Windows\system32\drivers\etc\hosts and click open. You will NOT be able to upload to TinyGrab, only the external sources such as FTP, Amazon S3 or Rackspace. This is because i'm only providing the service to make the app work again, not image hosting. Source code if you want to do this yourself (many thanks to @farkie on twitter for re-writing the whole API (including login support!) is available on Github here.